Like Instagram and Snapchat stories, Facebook also launched their own Facebook stories in its app. The Facebook new feature is available from March 28th onwards. Facebook has given 20 Sec of time limit for Facebook Video stories, and can save in camera roll directly. How to Create a Facebook Stories? The Facebook stories is coming for Android and iOS mobiles, where you can share photos and videos as a slideshow format which can exist within 24 hours afterwards it disappears. You can’t miss the Facebook stories because the circle appears on top of the news feed and nobody can miss the Stories. It has the same features as Snapchat stories. Why Facebook has implemented the same feature means, nowadays sharings in Facebook became one of the popular trends, the way of sharing friends and family also changed and not upgraded visual format. The videos consist of high quality photos and videos can attract the audience. So, Facebook wants to make fun of the Facebook lovers with Facebook stories. 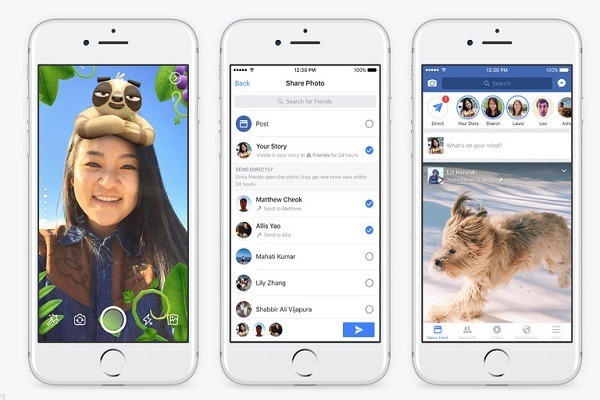 Facebook stories having creative photos and experimental videos in a faster way of sharing. More than Billion people are using the Facebook everyday. Snapchat implemented, it was Stories era in 2013. Now also started continuing the era of the Facebook story of creative photos and videos which are more communicative. Many people use Facebook from desktop computers. But the thing is, Facebook Stories are created from mobile app only, not in desktop. Facebook implemented, Facebook Stories with updated Facebook app for iOS and Android users. 1. Facebook app camera to create Facebook Stories. 2. Facebook Stories are located top of the newsfeed with a circle. So, no one can’t miss this. 3. Private messaging option called “Direct” which is also located top of the news feed with a circle inside upward arrow mark, to send individual persons. If you would like to start creating Facebook Stories just tap right side of News Feed or tap on camera top right side Corner of the Facebook mobile app. Tap on app camera to create a video or tap get started option available in app camera.Once you have finished with creating your video, you can directly save on the camera roll. It’s your choice to send it as a direct messaging, means like you will send messages to individual persons. Or if you post it in the profile you can give permissions as private or public. Once you have posted your story, it will appear on horizontal scrolling of news feeds. You can add some filters like graphics to the photos like emoji, stickering and rainbow. People changed their sending messages like text to photos and videos it is the biggest revolution to the Facebook to create Facebook video Stories. 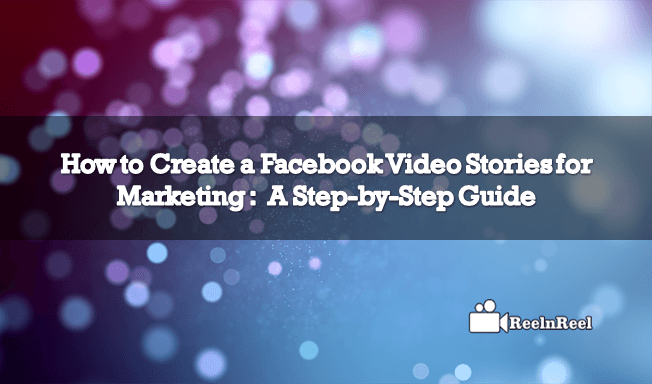 Facebook app can be applicable to iOS and Android devices , now we can see step by step procedure how to create Facebook Video stories in iOS . As we all know that Facebook new updated app is available from March 28 th onwards. People those who are using older version does not get these Facebook stories features . First, go to the App Store and download the Facebook updated app . After downloading you can see a new feature on top of the app with bubble icon. One is a Direct bubble inside arrow mark this will lead you to share your stories individually. Fist taps on the camera symbol on the top right corner of mobile app or else tap the right side of the news feed. If you are ready to create tap on getting started option to start creating a video. You can create or shoot some video or you can take photos after that create a video slideshow format. Once if you are finished with creating video, you can share it immediately with friends or send individually with Direct option. After sharing it will appear up to 24 hours in News feed and you can tap replay the video twice if you share it to individually. There is no chance to specify who seen or doesn’t see your post, but you have an option called view bottom of your story there you can find the people who had already seen your video. You can directly comment while watching the video, or communicate through messaging. Initially you need to login to the Facebook account with your ID. On the homepage itself, we can notice the icons of Direct and your story. Just tap on direct then you can find send photo / video just hit on it and this can be used to send the videos to selected individuals. Then automatically directs to the get started option through which the video can be recorded. Then you can send the video of 20 second story to different people. This will be visible for 24 hours of upload. The others video can be viewed which appears beside that icon. Just tap on it, then it plays automatically and you can directly reply to their video post which is on the bottom of the video. If you don’t wish to view them, click on ‘x’ on the top right corner of the video. We have one more option to share your video by choosing ‘your story’ through which we can publicly share our video. The no. of views for videos can be identified through view icon. Facebook is the most common Social Media App to communicate from any place at any time. The newly introduced feature of Facebook Stories will be much interesting part of the marketers to explore their brand with billions of users. The marketers can make use Facebook for branding by generating brief video content in limited time. They must be able to create the unique video stories with ultimate and creative thoughts. Always go on choosing the users intended video type selected by the viewers but not similar. Go ahead by adding the benefits, favorable returns and helpful vouchers as a part of the promotion. Try to do research on new and innovative topics by following the expert advice to explore in video stories of Facebook. Compose the featured stories of exciting areas. Focus on trending themes to deliver video stories. Stories will build the intimacy of your brand with the vast number of users through Facebook stories. This feature is advantageous for the startup and already growing marketers to stimulate views about their brand. It is the time to make publishing about ourselves in the public by using Facebook video stories. We can upload the breaking news, videos which can grab the attention of the viewers in a short period of time. Gather the videos of trending issues related to celebrities like politicians, sports person and actors. Capture the moments of rare incidents happening in our surroundings. Just make the stories by yourself as the breaking news that is enthusiastic to watch. Don’t annoy the users by over uploading the videos. This can be much helpful to launch the step for promoting your business and leads the huge engagement of audience to hunt about your channel. The concept of Facebook Stories will ruin the stress of the marketers to do promotion. They can easily establish the strong reputation for their business in the global market. Everyone will be much awaited to watch the trendy video stories so don’t waste your time, go ahead.